Your trip to Napa Valley will be filled with wonderful experiences and awe-inspiring natural beauty. While cell-phone photos and selfies are great for Instagram and Facebook, why not hire a professional photographer to capture those special moments and memories for you so you can leave your phone in your pocket and simply enjoy? 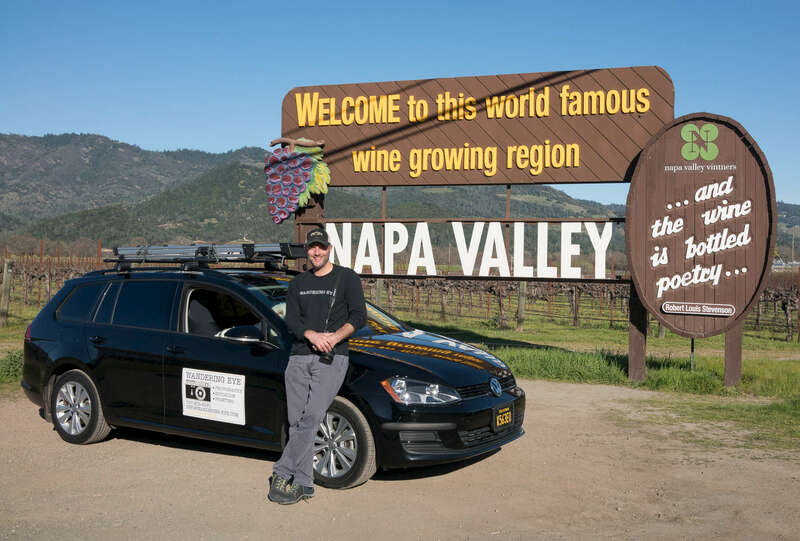 Matthew Baum is available to accompany you on hikes, tastings, bicycle rides and dining excursions, providing professional quality photographs of your Napa Valley getaway. Whether you’ll be enjoying a tasting and stroll amongst the vines at one of the many amazing wineries, proposing to your love, or gathering to pose in front of the iconic ‘Welcome to Napa Valley’ sign, Wandering Eye will preserve your memories for a lifetime. 2-hour to full-day packages are available for individuals, couples and groups. As part of our service you will receive all of the pictures as both web and print resolution files. Custom printing is available as an additional service. *Please contact us for pricing information for parties of greater than 8 and for out of Napa Valley excursions.